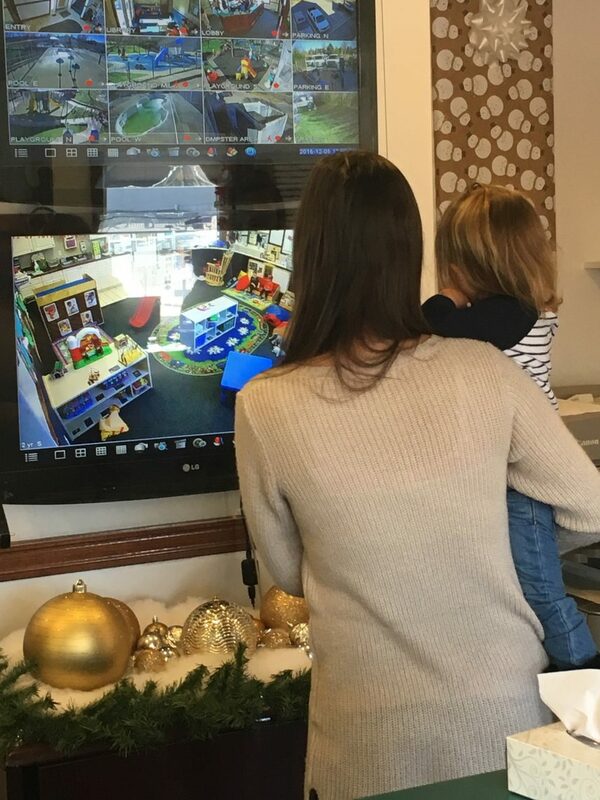 From the moment parents arrive with their children until the end of the day when they leave, you will have a comprehensive video recording of everything that occured throughout the course of the day when you have a surveillance system in your day care center. With security cameras installed in classrooms, hallways, activity rooms, outdoor playgrounds and parking areas, you will have a record of all daily happenings. Parents who are bringing their children to your facility can view their kids from the lobby, observing how they interact with other children and teachers. This helps gives parents peace of mind knowing that the facility is secure and the day’s activities are monitored. Viewing monitors installed in primary offices and lobby areas let key staff members and parents view each classroom. Facility directors and key staff members can monitor the complete facility and observe how teachers interact with children, parents and other staff members. People tend to perform better when security cameras are visible, knowing someone could be watching and their activities are being recorded. Exterior security cameras monitor who comes and goes throughout the day. At Visual Security, we take every job very seriously and provide our customers with the best products and services available in the industry. By working closely with each client, we can give them exactly what they expect from our surveillance specialists. Every system includes training for key personnel, technical support, professional installation and manufacturer’s warranty. We also offer extended product and service warranties at an additional charge. Our IP surveillance security systems utilize the most advanced products in the market. A few of the cameras we offer include: bullet, dome and hidden cameras. These cameras can be fixed lens or motorized zoom. We also offer pan-tilt-zoom (PTZ) cameras to view a specific item or person. All systems include 24-hour recording. Mobile device notification is also standard. If you are ready to have a surveillance system installed in your place of business, or have questions, give us a call today. We serve Denver, Colorado and Southern Wyoming.